Swim and Gyms are held at Harro East, 400 Andrews Street. Men Only swims are held at 237 Vassar Street. 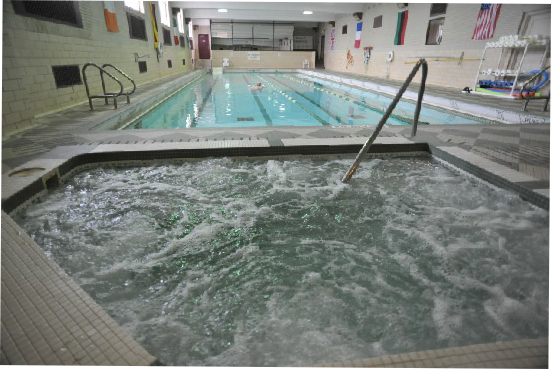 Activities include swimming in a full size pool, large hot tub soaking, basking in two saunas, steaming in two steam rooms, working out on exercise machines, and taking part in a pickup volleyball game. Snacks are served. All activities are clothes-free. For us to be able to enjoy this special privilege for another season next year, we need as many bodies as possible to be there to boost attendance at the remaining swims this year. Facilities include swimming pool, sauna, and hot tub. Note: There are women and families at the Harro Events Drugs, alcohol, and sexual activities are not permitted.